It appears Michael Chiesa will be taking legal action against Conor McGregor. This past Saturday night (July 7), Chiesa finally took on Anthony Pettis on the main card of UFC 226. The two were initially set to meet at UFC 223 back in April, but an incident involving McGregor ended up causing an injury to “The Maverick.” In the end, Pettis earned the submission victory. Chiesa has a lot on his plate. He missed weight going into his bout with Pettis and gave up 30 percent of his purse as a result. He then said he’d be done at lightweight after a tough weight cut. On a recent appearance on Ariel Helwani’s MMA Show, he revealed he had a foot injury and feels he should’ve pulled out of the fight. On that same edition of the show, Chiesa gave an update on what he’d do regarding the McGregor incident. The “Notorious” one is working on a plea deal to avoid a stiff punishment following his April attack. UFC president Dana White insists that he hasn’t had talks with McGregor’s team about fighting. White says he’s waiting for the court case to play out. As for Chiesa, he’s bound to make the argument that McGregor not only cost him a payday, but a potential title shot at UFC 223 once Max Holloway was pulled from the card. Chiesa was the highest ranked lightweight outside of Khabib Nurmagomedov on that card. He likely would’ve been a shoe-in to replace Holloway had he not been injured the day prior. 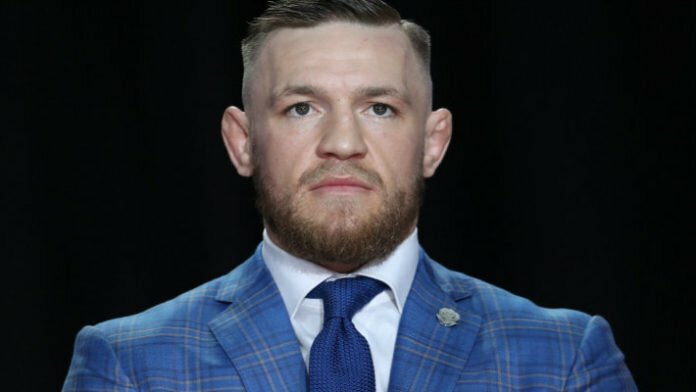 Do you think Conor McGregor will settle the legal case with Michael Chiesa out of court?